How did animals' dazzling horns, antlers evolve? 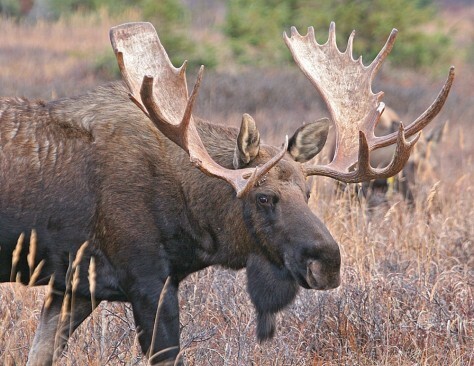 The antlers of moose are similar to those of deer. This photo was taken in Chugach State Park, Alaska.